Carers give a large amount of their own time to support the person with dementia. A carer may be a spouse, family member, friend or neighbour but it is important to acknowledge the role of being a carer. A carer can then get access to information and support. Over time the recognition of the caring role will become increasingly important. Carers carry out a large variety of tasks including personal care, cooking meals, dressing, helping the person move around, jobs around the house, shopping, picking up medication and generally spending time with the person they care for and keeping them company. It is often a big commitment that can bring feelings of resentment, fatigue, frustration and despair. It can also bring a big sense of achievement and feeling of satisfaction of being able to help their loved one in such a big way and play such an important role in their life. With the permission of the person you are caring for, it is worthwhile to ask your GP for your name to be added to that person’s medical records as their carer. As dementia progresses, it may be increasingly necessary to discuss confidential matters with the GP about that person and help make decisions. If you continue to work, it is worth letting your employer know that you have an extra, important commitment. This way they will be more supportive when you need time off work and they will be more understanding when you are feeling tired. They may also provide a more flexible working pattern for you. It is vital to look after yourself so that you can continue to care successfully. Set aside some time for yourself – if possible, every day. Even if it’s just a quick walk, or reading the paper – it’s very important that you get time to relax and clear your mind. Socialise – meet friends and family, go for a meal or meet up with local support groups. And remember to talk about you – because you are important too. Remember to do enjoyable things with the person you care for. If you are close to someone with dementia, there may be times when you are faced with behaviour that can be confusing, irritating or difficult to deal with. This might include repetition, wandering, shadowing, night-time waking, restlessness, aggression, shouting and screaming, sexual inhibition, suspicion, and general agitation. This can be very distressing and may make you feel exhausted. Take time to deal with your own feelings & seek support. It is important to think about your communication – tell the person you are caring for what you are going to do, reassure them that they are safe and loved. Some carers of people with dementia have found it particularly helpful to share experiences with other carers on an online forum such as the Alzheimer’s Society’s Talking Point forum. The Alzheimer’s Society has several factsheets about unusual behaviour and dealing with aggressive behaviour and other topics ranging from incontinence to sexual behaviour and walking and wandering. 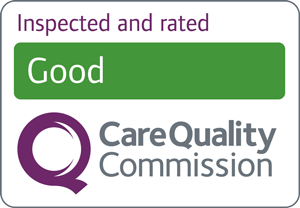 You can ask for a carer’s assessment from adult social care. They will be able to point you towards extra resources and support to help you in your carer’s role. You will need a carer’s assessment which will identify what level of support, if any, you will be entitled to. An assessment can be an opportunity to discuss exactly what kind of help your loved one needs both now and what support they are likely to need in the future as the dementia develops. Before you have your assessment, it is a good idea to write down your thoughts on paper – you need to make it clear what the state of your own health is, your own mobility, what relationships are affected by the diagnosis ofdementia and what information and help you will need as a carer. Please see ‘Services and Support’ for contact information for services for carers.